Fashion lovers in search of trendy handbags and accessories, look no further! 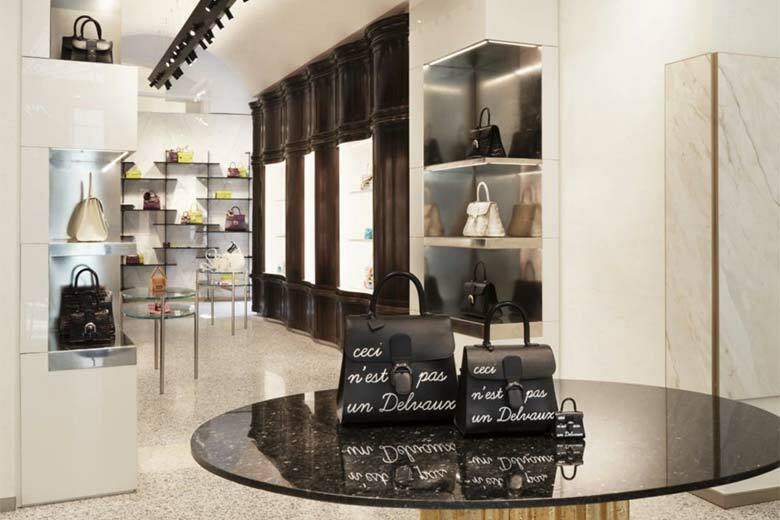 Via Bagutta and, to be more precise, the recently restored Palazzo Reina have been enriched by a new addition: the first flagship store by Delvaux. The Belgian luxury accessory brand has indeed taken up residence in the heart of the Fashion Quad, featuring a selection of colourful leather bags for her, as well as clutches, iconic pieces such as Les Miniatures collection, as well as luxury creations in orchid, crocodile and other precious leathers set amidst ancient 19th-century wood furniture. Open Mon-Sat 10am-7pm and Sun 12pm-6pm.